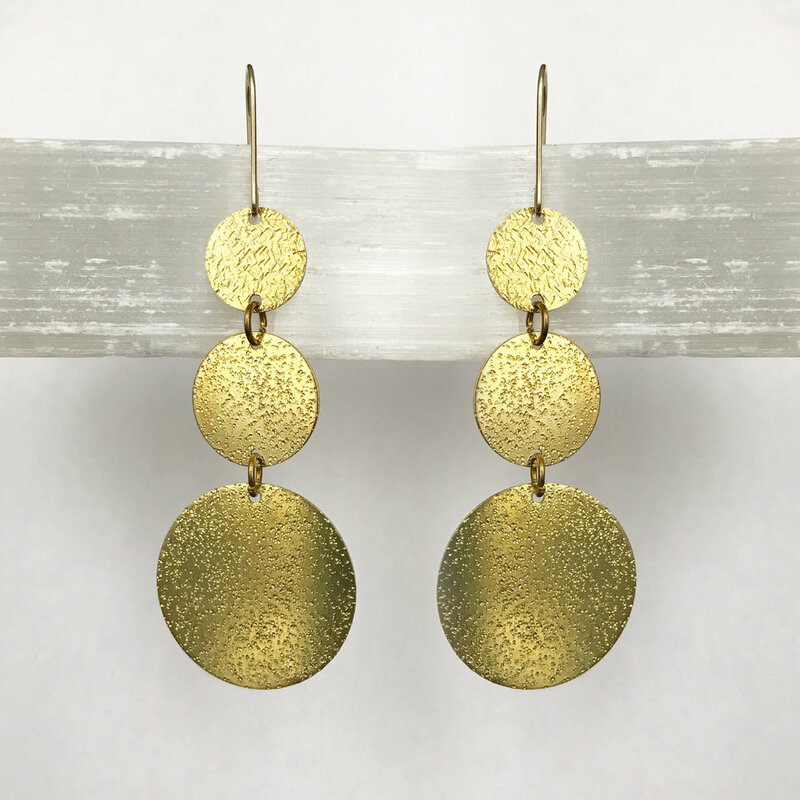 YOU WILL CHOOSE FROM A VARIETY OF BRASS SHAPES, AND USING DIFFERENT HAMMERING AND FINISHING TECHNIQUES, ADD TEXTURE AND CHARACTER TO YOUR EARRINGS. You will also learn how to drill holes, and clean and polish your brass pieces for a perfect shine. If you want to add tassels to your earrings (we have a rainbow of colours available) which you will attach with jump rings to finish your fabulous pair of statement earrings... and enjoy! Please note: The earring hooks used in this workshop are 14K Gold Filled (or Sterling Silver if preferred). Don't have pierced ears? No worries! We have 14K Gold Filled (or Sterling Silver) screw on earring backs available too! Can't decide on just ONE style? Make a second pair of Brass Statement Earrings during the workshop, for an additional $25.00 + hst! Yay! PLEASE NOTE: REGISTRANTS FOR THIS WORKSHOP MUST BE 16+ YEARS OLD.